I have spent the last 3 years perfecting our vegan shakes and I am proud to say they are AMAZING! 5 stars! 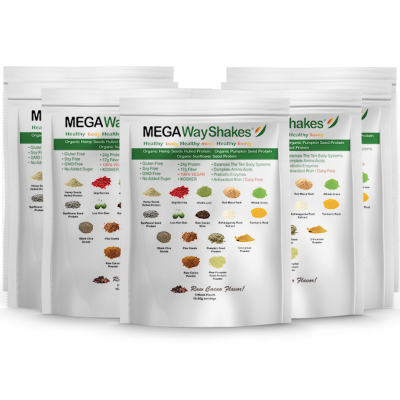 I get up and crave the MEGA Way Shake. It is quite simply the most nutritious shake I have ever eaten. I can go all day on nothing but this shake. 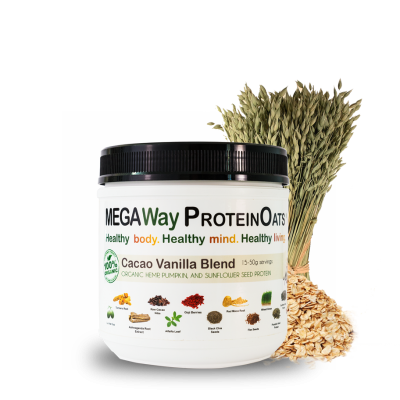 As long as there is a MEGA Way I will be starting my mornings with a shake. Beyond accolades the thought and effort that went into this product is evident by just reading the ingredient list. I have tremendous respect and gratitude for Brigitte and the products she produces. 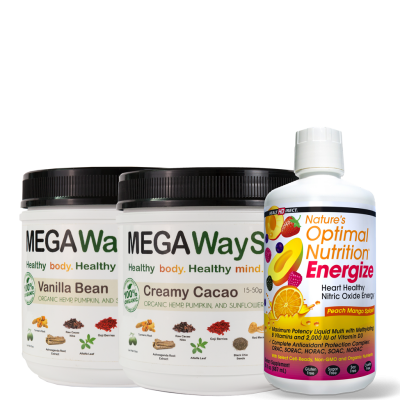 Most shakes are compiled with the bottom line in mind first and foremost, not with MEGA Way. Your health is Brigitte’s bottom line and this shake is quite simply amazing. These shakes have everything you need in the morning. If I was to buy all the ingredients separately and try to make the shake – I would play 3 times as much than what this retails for, so I already feel I’m getting a bargain for these products. Since starting the shake I’ve had a better frame of mind, high work productivity, and no food cravings and now I’m completely off sugar. 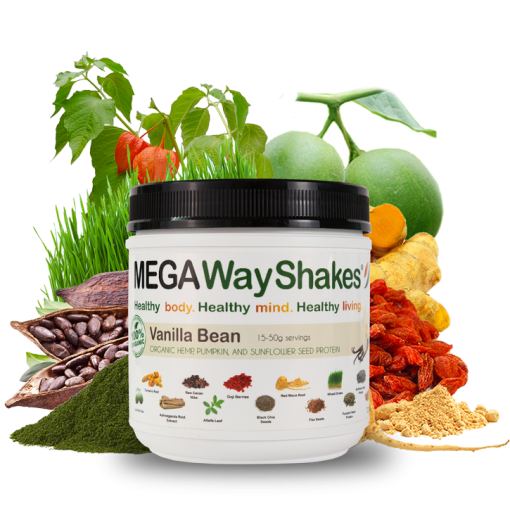 Amazing shake and you can mix it with so many varieties of fruit or vegetables so I can adjust the taste to my favorite flavor. Thanks for making this product possible! 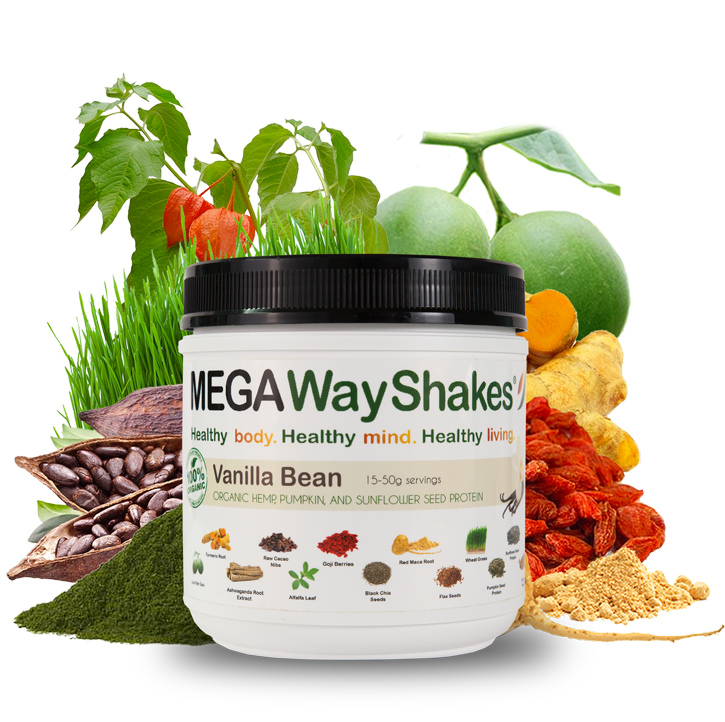 I’ve tried just about every shake out there and MegaWay is the cleanest and best tasting! The fact that it’s vegan, raw, and has no sugar is hard to believe considering the amazing taste. It’s almost too good to be true–but it is true! There’s nothing out there as good as this product…I’m a fan! The MEGAWAY shakes are amazing, very tasty and healthy. My mom and I are both hooked. It is a great breakfast, keeps me full and satisfied. It is also a great after workout snack. Definitely recommend it, there is nothing comparable in the market.